Starting any type of business can be difficult. It’s new territory, even if you have a background in business. You’re not sure if what you’re doing is the right thing, but you do know that this is what you want. When you own a startup business, you may make a lot of mistakes, but in the end, you know that this is your dream. On those bad days, you’re driven because it’s your goal to run your own business. On the good days, you wonder how you got so lucky. At Journey Business Solutions, we want to help you continue to have that good feeling about your business. With our merchant services, you’re able to receive the assistance you need to keep your startup going strong while you focus on the big picture of your business. We are able to help you take care of all the little details such as payroll and credit card acceptance. As a startup, if you need assistance in merchant services, then don’t hesitate to contact Journey Business Solutions. As a startup business, it’s important that you gather as much advice as possible to ensure your company is healthy. If you don’t run it correctly or you take too many risks, then you could face some difficulties in the future. 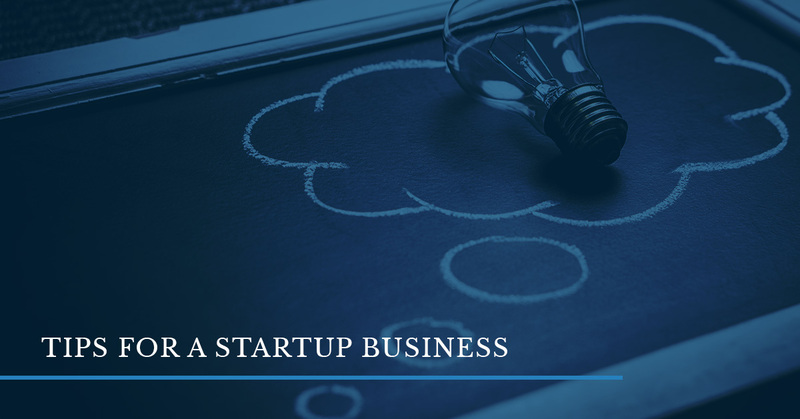 To help you sustain your startup in the first few years, we compiled a few tips you should be aware of as you run your business. These four tips will help you understand what you need to do to help your business be the best it can be. Like with any new venture, you should absorb the advice given to you by friends, family, old coworkers, and agencies you’ve hired for assistance such as Journey Business Solutions. By absorbing everything, you’ll know a little bit of this and that. If you want to excel in an entrepreneurial role, you’ll need to learn everything from finances to customer service to body language to feelings from possible investors about your business. You’ll want to write everything down as well and use the information you’ve learned to make a detailed strategy for your startup. Approach your startup in how you’d like to solve a problem instead of what you’d like to sell something. Whatever you’ve decided you want to do, you should think of it as a solution to a problem instead of an addition everything should take advantage of. For example, at Journey Business Solutions, we’ve created tools and services that will help small businesses. We price everything at a low cost because we know, at a startup, you may not have the resources to spend a lot of money on merchant services, which is why we strive to create resources that are efficient and affordable. As a small business ourselves, we want to make sure that you have the tools and services you need to move forward with your startup. We understand that this is important and want to help you in this endeavor. What do you want your startup to focus on? Are you an app that wants to rule the mobile domain? Are you a website that sells clothing and wants to be known primarily as an online retailer? Are you a brick and mortar store that wants to change the way people shop for food? Whatever your startup is, it’s vital that you brand with a single and solid purpose. This means that you should find that one thing you want to stick to and ensure that people associate you with that single brand and expertise to help them identify your business. Ask yourself what you want to be known for and then focus primarily on that. If you’ve ever worked in customer service, then you know that customers are always a high priority. If you want your business to succeed, then it’s vital that you think about your customers and the audience that you want to draw in. Customers are the bread and butter of your business. Without customers, you won’t be able to stay afloat. This means whether you’re a business-to-business or a business-to-customer, you’ll need to always keep in mind your customers and provide excellent customer service. For more advice from Journey Business Solutions, stay tuned for our next blog.